The entire world is currently hooked with ‘Game of Thrones’ and its final season. The fans of this American TV series were patiently waiting for the final season and it premiered on April 14 (Sunday) in the USA. As soon as the ‘Game of Thrones’ eighth season premiered, plenty of memes surfaced on social media. But we weren’t expecting to see Shah Rukh Khan‘s iconic line “Palat!” from ‘Dilwale Dulhania Le Jayenge’. Some start internet user used the line during Lord Euron Greyjoy and Queen Cersei Lannister’s rather amorous exchange in the first episode of ‘Game of Thrones’ Season 8. Yes, we were equally intrigued and laughed out loud at this meme video. 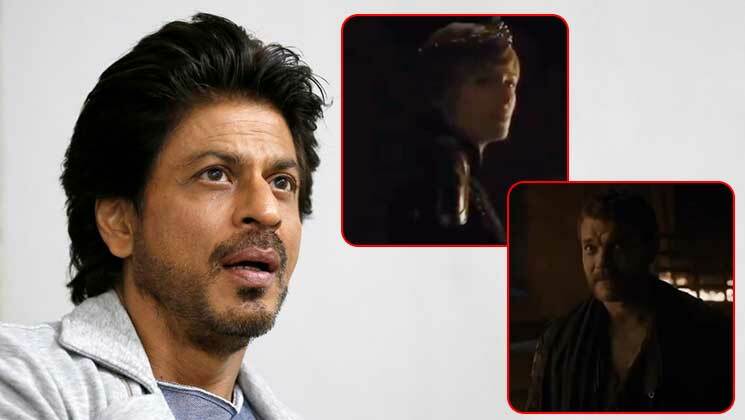 Meanwhile, Shah Rukh Khan was last seen in Aanand L Rai’s ‘Zero’. This feature film also had Anushka Sharma and Katrina Kaif in lead roles. ‘Zero’ was highly anticipated but it did average business at the box-office.